We continue with our presentation of the wonderful recollections of Mr. Chidambaram Krishnan, a long-time devotee of Bhagavan Baba who came to the Lord under somewhat unusual circumstances. In the last Instalment , we broke off at the point where Mr. Krishnan’s eldest brother has a dramatic change of heart. In this the sixth instalment, we now have Mr. Krishnan telling us about his marriage in Puttaparthi and what happened after that. Read on. The day came and our marriage party left our hometown for Puttaparthi in a big convoy of cars and buses. After travelling for a long time, we finally came near the troublesome stream near Locherla, and we had a tough time crossing it. The father of the bride then said to me, “Look, we have so many Swamijis near our place. If you wanted a Swamiji to perform your marriage, we need not have come this far, facing so much trouble too.” I was certainly not happy with the comment nor was this time for a long argument. I simply said, “Sir, Sai Baba is no run of the mill Swamiji. He is truly Divine. Presently, you do not know anything about Him. I therefore request you to kindly hold back your opinions till you actually see Him." My father-in-law to be was not happy with my response but he did not argue further. He only said, “Remember, after the wedding, we all are going to Tirupathi to worship Lord Venkateswara there. We are not returning to our native place without first worshipping the Lord of Tirupathi.” I should mention that right from the time we started on the journey to Puttaparthi for the marriage, the father of the bride was constantly talking about the trip to Tirupathi. Puttaparthi was much closer to Tirupathi than our native place, and having come thus far, this gentleman was keen to make the pilgrimage to that holy town. He was a great devotee of Lord Venkateswara and there was a vow he had to fulfil; hence the constant reminder. I tried to make him comfortable by saying, “Have no worry; you will certainly have the Darshan of Lord Venkateswara." I saw and was absolutely amazed. I mean there we were, travelling to Puttaparthi and having a conversation as were trying to negotiate a difficult stream near Locherla. How on earth did Swami who was here in Puttaparthi know about it? Those were still early days for me, when I had not fully appreciated the totally Divine nature of Swami. 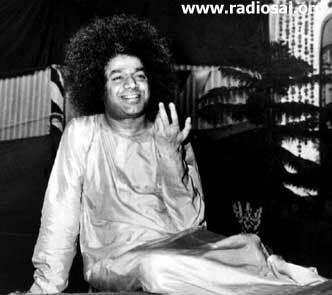 After the marriage ceremony was over, Swami said to my father-in-law, “When you were coming here, you were talking to the bridegroom and mentioned something about going to some place after the marriage, did you not?” My father-in-law became very scared because he had then said some uncomplimentary things about Swami. So he started to be apologetic and said, “Baba, I was rambling about all kinds of things. Please do not take notice of them.” Swami smiled and replied, “I am talking about a place you wanted to visit after the marriage. What was that place?” My father-in-law said, “That was Tirupathi." ”Swami then said, “Look at the mangalyam on your daughter’s neck. You will find the Lord of Tirupathi right there. 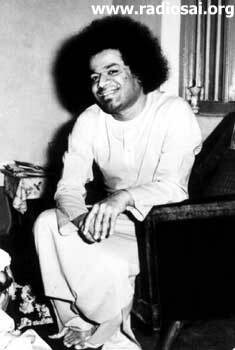 Knowing your desire, I have brought Him to you right here!” I was present when Swami spoke those words to my father-in-law but neither of us realised then that those words had a much deeper meaning. We came to know about that only later. You see, these villagers were all very poor and accustomed to eating coarse grains as their staple diet. Here was a chance to have a royal meal. Why miss it? That was now their line of thinking. Suddenly they all forgot their hostility to Swami and eagerly showed up for lunch. Swami had anticipated this long ago and that was why He instructed Suraiya to prepare lunch for over fifteen hundred people. Suraiya, however, did his own calculations and did not pay any heed to Swami’s words. But now there was a crisis because about fifteen hundred people showed up from the village and there were about three hundred and fifty in our party. Kailasam almost broke down. 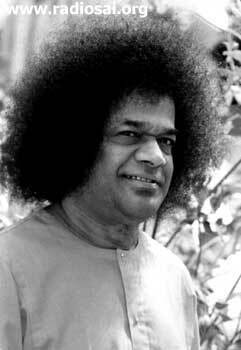 In a choking voice he replied, “Swami I repeatedly advised Suriaya to follow your instructions to the letter and make purchases accordingly but he did not listen.” Suraiya of course became panic stricken and was silent, wringing his hands all the time. After the marriage, Swami asked our party to stay for five or six days, during which period He gave interviews to everyone. They were all very happy. Our party was really big and consisted not only of members from my family and that of the bride, but also the local Tasildar, the Sub Inspector, the Constable, all sorts of village officials and so on. For all of them, this was an incredible experience. I said yes and left. As instructed by Swami, from Mysore I went to Tirupathi, worshipped the Lord there and returned home. And when I did, my eldest brother who at one time was so much opposed to my marriage, gave me a hearty welcome and showered me with love. It was a sign of Swami’s Grace. I will now narrate another incident where the person transformed was myself. One of my sons married against my wish. As I result, I broke off relationship with him and stopped talking to him. This went on for about two years. One day, I went to Brindavan for Swami’s Darshan. Those were the days of the Sai Ram Shed. I was seated there awaiting the arrival of Swami for Darshan, when my son also came for Darshan along with his wife. Someone came and gave me this information. I simply told the person who told me about my son’s arrival that I was not on talking terms with my son. When I heard this, I was knocked out; I mean, imagine that! Swami suddenly stopping Bhajans and saying something that applied hundred percent to me. It was like a whiplash for me. Meanwhile, Swami continued, “Things happen in life according to the Law of Karma. No one has the right to decide what is right and what is wrong. A true devotee must do his best to preserve harmony at home.” After saying that, Swami walked away! I was in a state of shock. I knew pretty well for whom that message was intended. It did not end with just this. Swami then sent for me and commanded me to resume talking to my son. It is all very exciting, is it not? Want to know more? Well, wait for the next issue to know what happened next.